Just like I complained early last month in an article discussing “psychic” predictions from the media, I will again take the opportunity to implore the mainstream elitist punditry class to shut the fck up. Just. Shut. Up. Since the 2016 primary coverage began…in 2015… know-nothing pundits have made psychic predictions and multiple proclamations about who would be the eventual nominee for each party. And we have repeatedly watched those predictions turn into dust right before our eyes. Despite some of these pundits being quite liberal, their vested interests still revolve around their platforms/employers, along with protecting their initial narrative which is “a Clinton presidency”. To that end, I’m wondering if the unspoken mission of some of these people is to ensure super delegates won’t switch their support to Bernie Sanders. The night of the Indiana primary (May 3) will probably go down as the night Donald Trump finally secured the Republican nomination. To a lesser extent, the night will also be remembered as yet another Bernie Sanders “upset” win in a primary race which has been totally unpredictable. From the start, Republican pundits have taken to the airwaves (the keyboards and the cellphones) to lay waste to the idea of Trump being the Republican nominee. Other condescending Democratic-leaning pundits proclaimed Sanders to be little more than a sparring partner to Clinton instead of real competition. Time has revealed neither group of pundits know what the fck they’re talking about with regards to this 2016 race. There. I said it. I remember when Trump was never going to win. NEVER! Remember that? I think one know-nothing pundit even announced he’d eat the paper his column is printed on if Trump becomes of the nominee. On the Democratic side, Bernie Sanders just won a decisive victory in Indiana — a state in which many pundits refused to admit he ever had a big chance of winning. In fact, Sanders won most of the counties in Indiana after polls had him down on average by 6 points. Sanders has been the target of the know-nothing punditry class’s sharp tongues, haphazard predictions and desperate proclamations long before now. I personally remember know-nothing pundits parroting the narrative that Sanders was only in this race to make Clinton “a better candidate”. Once he started to actually win — like that huge victory in New Hampshire — the narrative changed to say he can only win small, “white states” without a diverse population (side-eying Joan Walsh). As Sanders started to do very well in caucuses — which tend not to add the number of people who actually showed up to the winner’s raw vote count — these know-nothing pundits said he could ONLY win caucuses and couldn’t win primaries… as if New Hampshire wasn’t a primary. These pseudo-psychics said Sanders “can’t win” in big industrial blue collar states. The prediction was Clinton would “stop” Sanders once the 2016 race got back to the Eastern states. Sanders’ 13 point Wisconsin win killed yet another baseless mainstream media psychic prediction claiming he couldn’t win big blue collar state primaries. However, the know-nothing pundits stuck to their narrative(s) and went right on making haphazard predictions like it didn’t happen. Sanders, of course, has gone on to win very big primaries in very blue states like Michigan, Wisconsin, and now Indiana. He’s also come damn close in Massachusetts, Illinois and Missouri. But wait! They didn’t stop there. The know-nothing pundit class said Sanders could only win people under 29 who wanted “free stuff”. This prediction started to fade when Sanders’ support expanded to include the Generation X crowd. He now routinely wins voters 40 and under, with some reports finding that it’s actually voters 45 and under who’ve tilted towards the Vermont Senator. The one demographic on which pundits have hung their last hopes and dreams as a way to thwart Sanders’ rise is Clinton’s “firewall” of African Americans. By the way, I can’t believe yall are still voting for Clinton after her camp characterized an entire group of people as an inanimate object meant to prevent a political fire from endangering her coronation. I’m shaking my goddamn head because a simple split of support between Sanders and Clinton could’ve put African-Americans in a position to make very real demands toward changing/revising/destroying systemic problems specifically plaguing the African American community. But I digress. NONE of Sanders’ successes were predicted by the mainstream media; a media so invested in their narrative that they couldn’t see straight; a media so caught up in conservative framing that they were routinely blindsided by the results of real Democratic voters deciding to support Sanders. Having almost nothing of substance left, the narrative around Sanders now is: “the math”. Their new prediction is “the math” allegedly makes it “virtually impossible” for Sanders to win. Given the media’s poor track record with predicting Sanders’ future, I’ll remain skeptical as fck for now, especially given reports by Shaun King and commentary by Nomiki Konst saying it’s possible neither candidate will reach the threshold of pledge delegates needed before the convention. 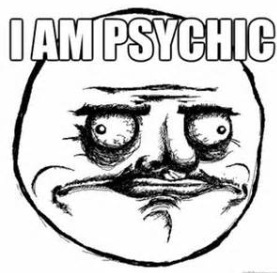 Sanders’ “upset” win in Indiana doesn’t make me any more likely to turn over my critical/analytical thinking skills to mainstream media pseudo-psychics either. And last time I checked, people were still voting! This Democratic race is STILL very much in dispute. There are contests yet to be held in Oregon, California, New Jersey, New Mexico, West Virginia, Kentucky, Montana, Washington DC, along with North and South Dakota. All kinds of surprising situations have happened in this primary race. It is literally a race where anything can happen. So when you hear the media’s “math” proclamations about Sanders’ chances, you might do better betting on the “impossible” than listening to their untrustworthy predictions. I’m sure they’re praying they at least get the Sanders “math” prediction right… even if they have to put a thumb on the scale, call fouls when there are none, or decree the race is over even though it’s not.